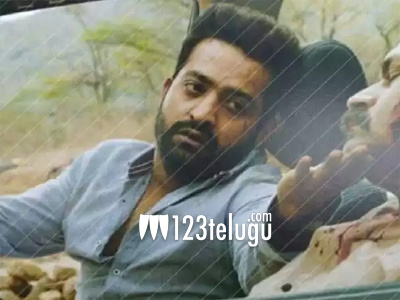 Fans and the makers of NTR’s upcoming action family entertainer, Aravindha Sametha, were left in a deep shock when a working still in NTR and Nagababu from the sets was leaked. The leaked picture went viral on social media, causing more concern. This prompted the film’s team to take some evasive measures to prevent any further damage. The team is said to have strictly ordered the unit members to not carry their smartphones on sets. Also, the makers have strictly instructed their post-production teams to be extra cautious with the footage. Usually, leaks happen from the post-production studios more rampantly. In Aravindha Sametha, NTR will be seen in dual avatars – one of a rugged man from Rayalaseema and another a happy-go-lucky college student in Hyderabad. Pooja Hegde is the leading lady in the movie. Naga Babu and Jagapathi Babu play key roles. S Radhakrishna is producing this high-budget Dasara entertainer and Thaman is composing the music.